Ironically, Moe called his swing The Feeling of Greatness. I was always curious and wondered exactly what does that really mean? Moe explained it as knowing that he was going to hit it well before he actually hit it. His feelings, as with all feelings, were internal and emotional. Then I spent years finding various ways to feel like Moe. I modeled and practice Moe’s movements. I copied him on video. I stood next to him and even crawled between his legs when he hit balls. 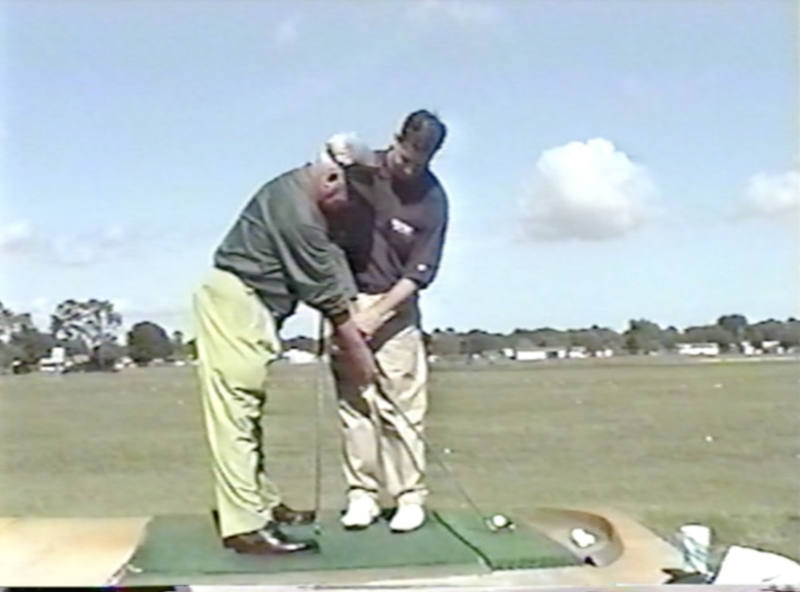 I did everything I could to get INSIGHT into his movements with one goal in mind – to feel his swing. What does it feel like to swing like Moe Norman? Yet we all experience feelings every time we play golf and go to the range. We feel the club, the movement of our body and the contact with the ball. This is the kinesthetic “feelings” we get. However, research shows that feelings are more than just kinesthetic. Feelings are actually multi-sensory. This means that what we see and hear affects how we feel too. To give you an example, years ago a group of professional golfers were asked to test beryllium copper irons against stainless steel. The beryllium copper (BeCu) irons made a much deeper sound, almost a thud, when struck where the stainless irons were louder. The professionals confirmed that the beryllium irons felt softer and the stainless felt harder. Then the club-heads were painted black where the professionals could not differentiate between the two clubs. The professionals were still able to differentiate the BeCu irons form the stainless – still convinced that they were “softer” when struck. Then the researchers made the professionals wear ear-plugs. With the unpaired clubs, the professionals still confirmed that the BeCu irons were softer. Then to everyone’s surprise while wearing ear plugs and with the clubs painted black, the professionals could not differentiate between the BeCu Irons and the Stainless Steel. What this research shows are that Feel is subjective to sight and sound as much as the kinesthetic sensations of the body. My research shows that when it comes to Swinging like Moe you must use ALL of your senses to Feel like Moe. As a matter of fact, this is exactly why we have so much success at our schools. When you come to one of the GGA schools there are keys that helps students improve in a very short period of time. One of these keys is that we simply help the student “Feel” something new. The schools give the student a new “experience” of the single plane swing. There are countless times where students will say “that was worth the price of admission“ when I show them were to place the trail hand or show them the backswing. Why? Because I am not showing them. I am helping them experience. Experiencing the swing is the KEY to learning the it. Experiencing is Feeling because it incorporates all of your senses – which is why instruction is so valuable and important. Point of View perspectives, that stand you inside the golf swing to see it happening. 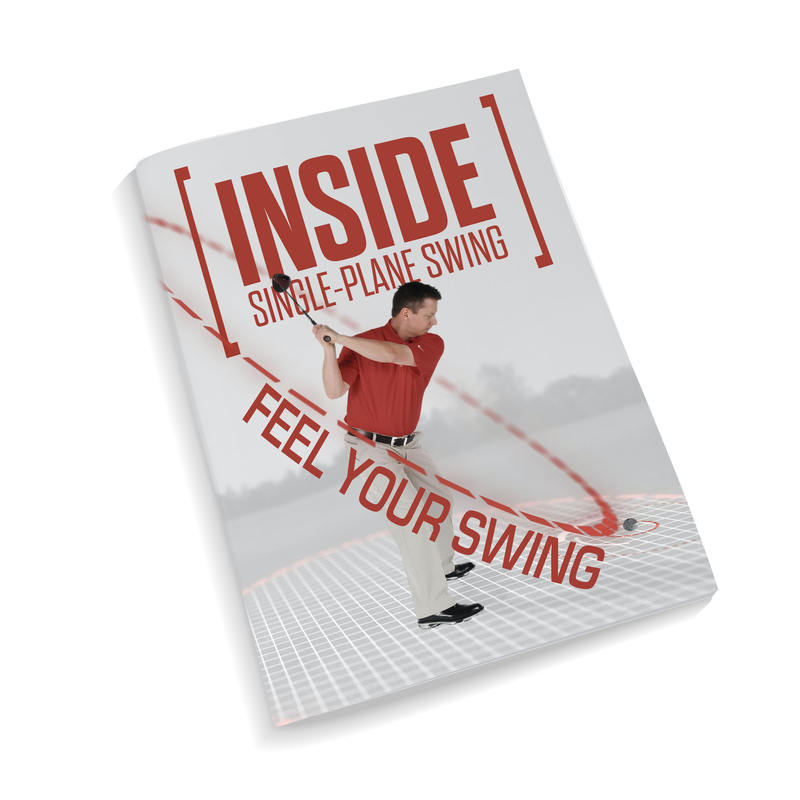 In addition to the new perspectives and sensations, Inside the Single Plane Swing includes a Pocket Guide that will help you take these instructions to the range and help you focus your attention on the key areas so you can practice correctly and most importantly – Feel the correct swing while you practice. The Pocket Guide is our way of helping you take a coach to the range with you. The pocket guide gives you the experience of a Single Plane coach standing with you on the range while you practice. I believe this product will be revolutionary in the way it teaches you how to practice, experience and ultimately feel your swing. If you missed the webinar – here is the link to the promotional offer.